Thanks for the heads up on the wine. The wife almost bought 2! Some people must like it I’m sure but I can’t help feeling the idea of it is better than the product itself. I was so excited when I saw it and so disappointed when I tried it. Like your wife, I wanted to stock up and bring them all back home – that was before I tried it! 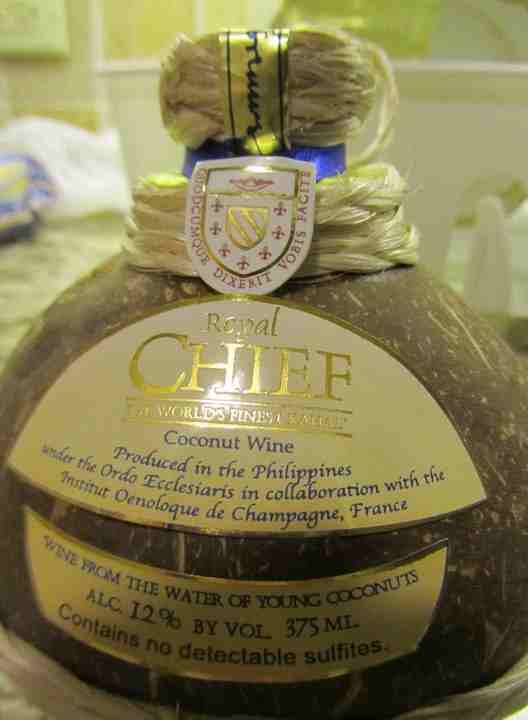 I love coconut and I love wine but the two don’t seem to mix! I just tried some and loved it! Do you like white wine at all? If so I have a hard time understanding why you didn’t like this wine, I am not normaly a fan of white wines but I found this one to be almost perfect; not bitter, not too dry, not too sweet but with a nice hint of coconut. Maybe the problem was the hotdog…lol! Maybe! LOL. We do love white wines, red wines and rose wines (basically we’re big fans of wines and most alcohols, in moderation of course!) I didn’t get a coconut hint off it at all, though through trial and error we discovered that it works OK in cocktails. I’m glad you enjoyed it though and it did come in a lovely bottle! My daughter just brought it back from Hawaij. I don’t like wine but the packaging is cool.